Hi! Did you miss me? Here I am again after a long time away from the blog (again...). But I am back and I bring you more reviews of amazing and not so amazing products I and my boyfriend have been using for the past months. Today I bring you the Seaweed deep cleansing gel wash by The Body Shop. It is no secret that I love this brand but I can be impartial and it is obviously true not everything they have fits my skin type. In this case, our skin type. We are both from the oily skin club. Which in away is good because this skin type tens to have less wrinkles but it needs a lot more attention and cleansing, specially when you are younger. I already use the Seaweed face exfoliator also from The Body Shop for almost two years and I haven't changed to another brand since then. The same might happen with the gel wash. It is very simple. Wash your face twice a day (morning and night) with this gel wash before applying any other product. It will cleanse all excess oil that accumulates during day and night without leaving your skin too dry. It also has a very fresh finish that is great to help you wake up in the morning. But most important - it has a matte finish good for the application of any moisturizer after. 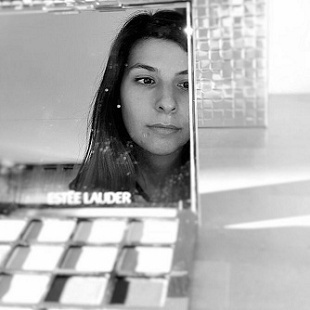 If you have oily or combination skin, go for it! If you have a normal / dry skin, i would go for another solution. Olá! Tiveram saudades minhas? Aqui estou eu, de novo, depois de bastante tempo longe do blog (outra vez...). Mas estou de volta e trago-vos novas revisões de produtos fantásticos e outros não tão fantásticos que eu e o meu namorado temos experimentado nos últimos meses. 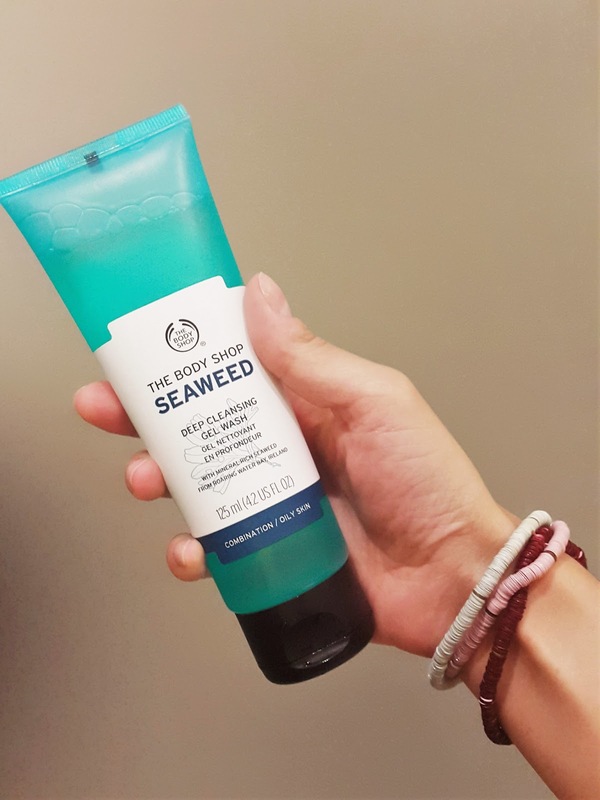 Hoje trago-vos o Seaweed deep cleansing gel wash da The Body Shop. Não é segredo nenhum que eu adoro esta marca mas ainda consigo ser imparcial nas minhas análises e é verdade que, obviamente, nem todos os produtos são adequados à minha pele. Neste caso a nossa pele porque ambos pertencemos ao clube das peles oleosas. O que por um lado até nem é mau de todo porque este tipo de pele tem menos tendência a ganhar rugas cedo no entanto dá muito mais trabalho nos anos mais jovens porque precisa de ser limpa e cuidada para não ganhar problemas como poros muito abertos ou borbulhas indesejadas. Já há cerca de 2 anos que uso o gel exfoliante da mesma linha Seaweed daThe Body Shop e desde então nunca mais quis experimentar outro. O mesmo pode vir a acontecer com este gel de limpeza. É muito simples. Duas vezes ao dia (de manhã e de noite) lava a cara com este gel antes de aplicar qualquer outro produto. O produto retira eficazmente o excesso de óleo que se acumula ao longo do dia e noite, sem deixar a pele demasiado seca. Deixa a pele com uma sensação de frescura que é optima para ajudar a acordar. E também muito importante - tem um acabamento matte que é optimo para a aplicação / absorção do creme hidratante aplicar em seguida. Se tens pele oleosa ou mista, força, experimenta que vais adorar! Se tens pele normal a seca, aconselho-te a procura outro produto mais adequado ao teu tipo de pele. Great post! I hope you'll have an amazing week! It also has a very fresh finish that is great to help you wake up in the morning. But most important - it has a matte finish good for the application of any moisturizer after. thanks for sharing a wonderful site.It was such an informational blog, pleasure reading your content, Thanks. Keep sharing! Thanks for sharing your wealthy information. [url=http://softwarefill.com/hostbill-enterprise-10-2018-10-01-nulled/?fbclid=IwAR3ZP-tlo97K_qt-a5f9QHprTqoKanK8c9wxvyoxOXuwRC4D1-wtKskPyM8]http://softwarefill.com/hostbill-enterprise-10-2018-10-01-nulled/?fbclid=IwAR3ZP-tlo97K_qt-a5f9QHprTqoKanK8c9wxvyoxOXuwRC4D1-wtKskPyM8HostBill Enterprise 10[/url] (2018-10-01) NULLED – Billing & Automation Software for WebHosts Attract customers with beautiful, flexible and customizable order pages. Increase your sales with a range of marketing tools. New Vodia module for HostBill will let you measure and bill for Vodia PBX provided data. At HostBill we are always looking to fix bugs that negatively impact the users experience and we value your bug reports that help us squash these bugs. We’ve just improved our Bug Report System to make the process even faster and more effective.